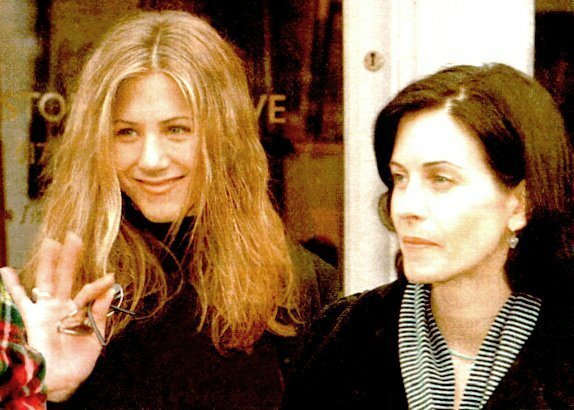 F*R*I*E*N*D*S. . Wallpaper and background images in the Monica and Rachel club tagged: rachel green monica geller jennifer aniston courtney. This Monica and Rachel photo contains portrait, headshot, gros plan, and closeup.